Avalanche Studios' Christofer Sundberg believes that games with replay value don't get traded in. The issue of used games is one that elicits diverse responses from within the gaming community. On the industry side, a large part of the discussion surrounding second hand games is how to control them and mitigate their effect on publisher profits. Many of the Xbox One's infamous restrictive features are designed to control how players share, sell and buy video games. Likewise, some developers have come out and proclaimed used games as a whole to be an untenable presence in the market. Others in the industry, meanwhile, have taken a more moderate stance on used games, suggesting that developers might do well to look at the games being made and why gamers might trade them in the first place. For Avalanche Studios' Christofer Sundberg, the answer may lie in the brevity of many modern games. "I'm sure [used games have] been an issue but that's because games have been too short," he said. "I mean when you can play a game through from 8 to 10 hours, I would return the game too, because there's no reason for players to play it again." Avalanche is the studio behind Just Cause 2, one the largest and longest games released in recent years. "If you're offering little variation, then there's no motivation for the player to keep that game- unless they want to have a nice bookshelf. That's why we answered that with Just Cause." According to Sundberg, he rarely finds used copies of Just Cause 2 at game stores. 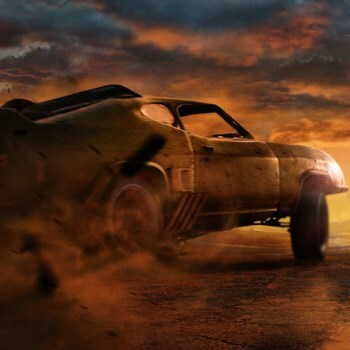 Avalanche likely hopes its next title, Mad Max, will find a similar permanent place in gamers' collections.